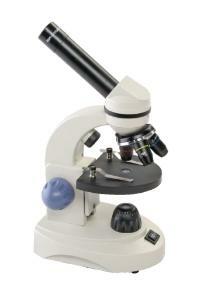 Designed with non-removable parts, this microscope is ideal for younger students. A high-impact plastic body provides durability, and the 45°-angled eyepiece offers easy viewing. 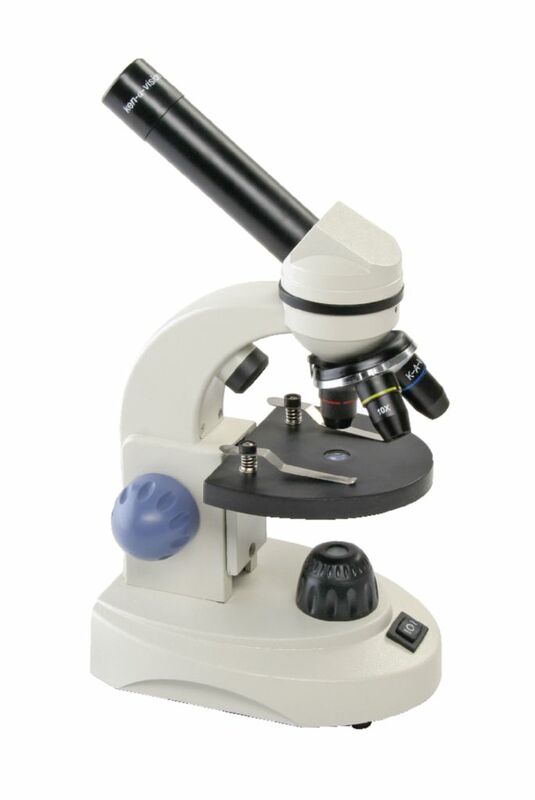 The scope also features above and below light for viewing opaque specimens. Prepared slides include human blood, honey bee leg, dandelion fuzz, peacock feather, and lily pollen. 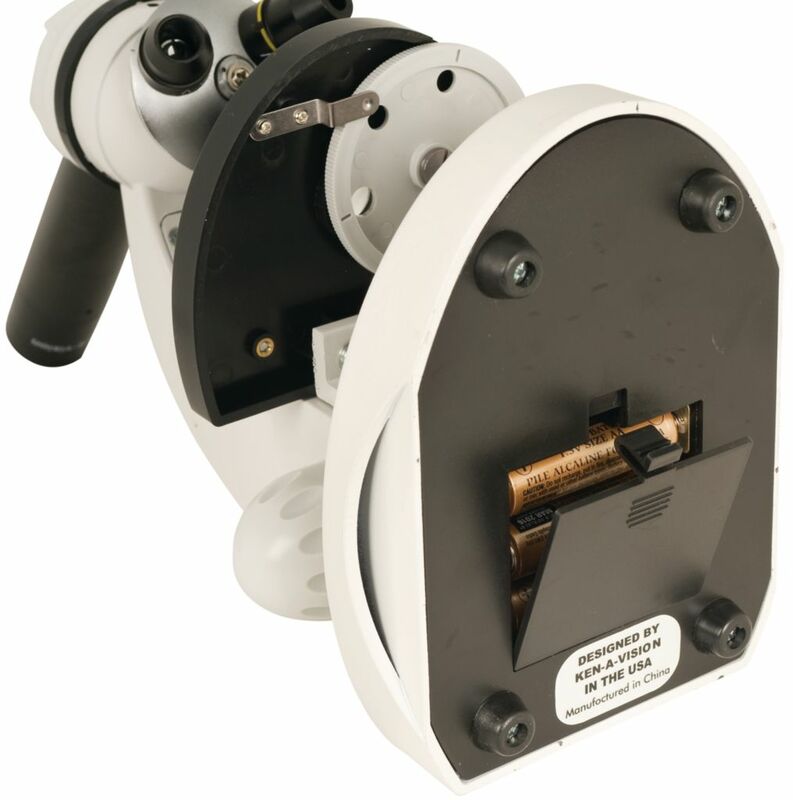 Ordering information: This microscope includes AA batteries, a user guide with experiments, a box of five prepared and five blank safety plastic slides, a dust cover, and a one year warranty.